2018 NEW MODEL. 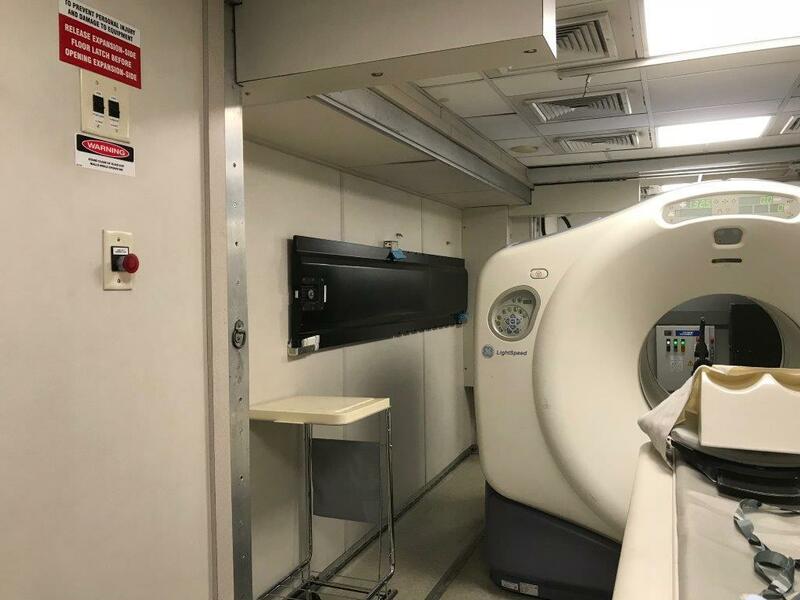 First Full-Size, REASONABLY-PRICED, Flat-Panel Detector C-Arm: The 15.3” Dynamic Flat Panel Detector produces high quality images with no distortion and minimized exposure to unnecessary radiation. The sleek modern design and creative operational controls allow easy movement in confined spaces. The exceptional image quality and unparalleled processing speed of the SPINEL 12HD has been independently verified and its ease of operation is unique. 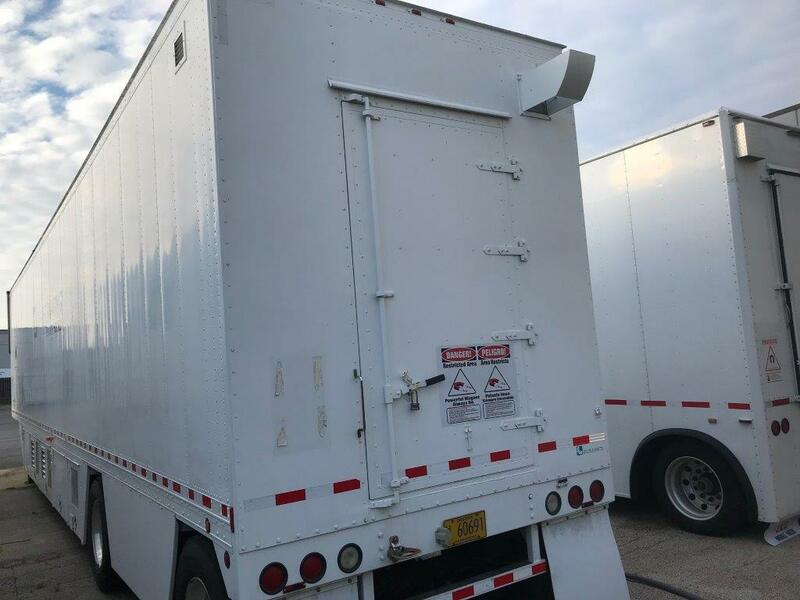 Angio Package & 2 Yr. Warranty Standard. The SPINEL 12HD is specifically designed to be simple and intuitive to operate as well as compact and space-saving. 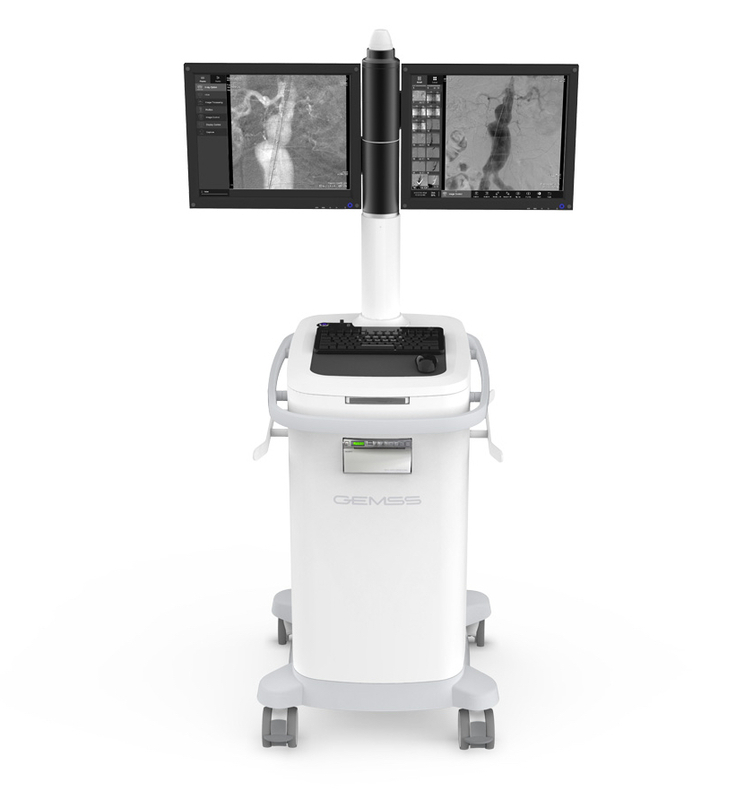 It not only optimizes surgical workflow, but enhances the value of limited arenas. How can we make it more user friendly? Throughout the product development process GEMSS engineers are constantly focused on user convenience. With the introduction of the SPINEL 12HD we have included a stunning array of user customizable features and Smart Functions to make your workflows easier, faster and more productive. The large 10.4” touch screen control panel rotates a full 270° to allow complete control in any position without moving the cart. Our Quick Navigation UI system is a sophisticated and intuitive design that is easy to learn and operate. The programmable multifunction foot switch allows the user to select the three most commonly used functions for each procedure from the fifteen available functions* and the Smart Angio Package. *Laser On/Off; X-ray Exposure; Capture; H-Flip; V-Flip; Rotate 90° Right; Rotate 90° Left; ABC On/Off; Column Up; Column Down; Invert; DSA On/Off; Roadmap On/Off; Cine On/Off. Our proprietary CXView 3 software features a user-friendly interface and improves workflow efficiency. Register patients easily with functions such as Merge, Match and Split. Transfer images between two servers or more. Export images in a variety of formats. All functions are fully DICOM 3 compatible and integrate seamlessly with PACS. 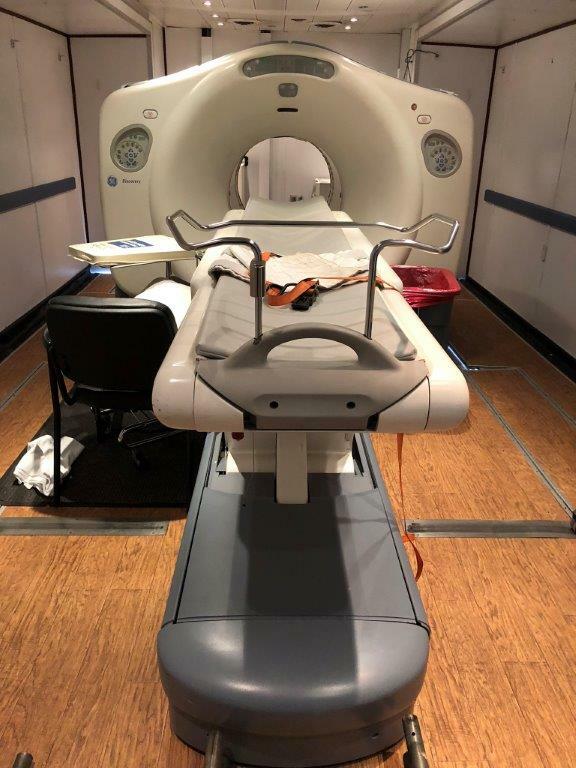 GEMSS R & D has resulted in the next generation mobile C-arm with imaging far superior to the angio images of exiting I.I. equipped models. 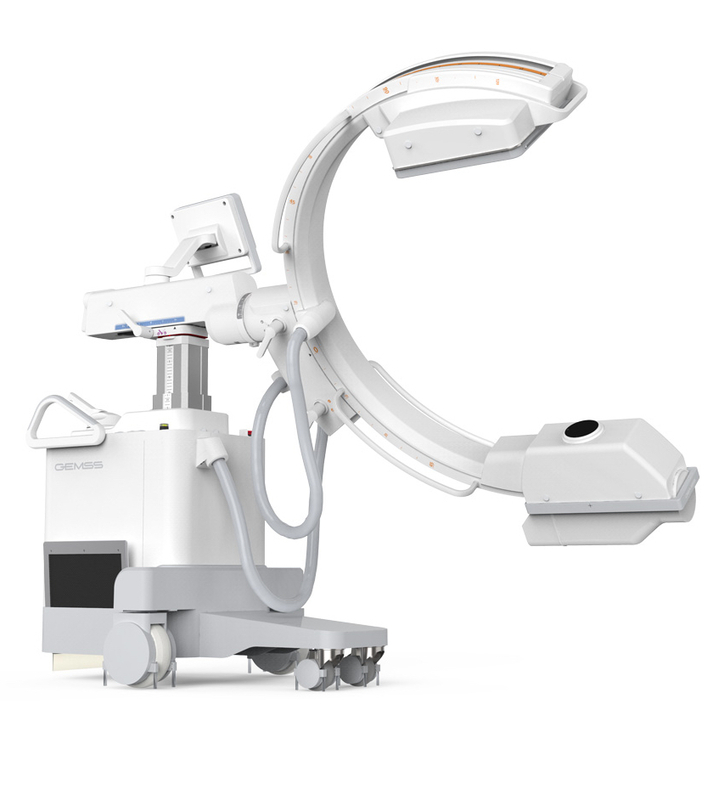 The SPINEL 12HD next generation mobile C-arm further enhances performance with the GEMSS Smart Angio Package that includes DSA, Roadmap, Re-Mask, Pixel-Shift, Max Peak and Minimum Opacification, and Bone Landmarking and provides true versatility for the hybrid OR. Flat Panel Detector provides Superior Image Quality with no distortion compared to I-I models. 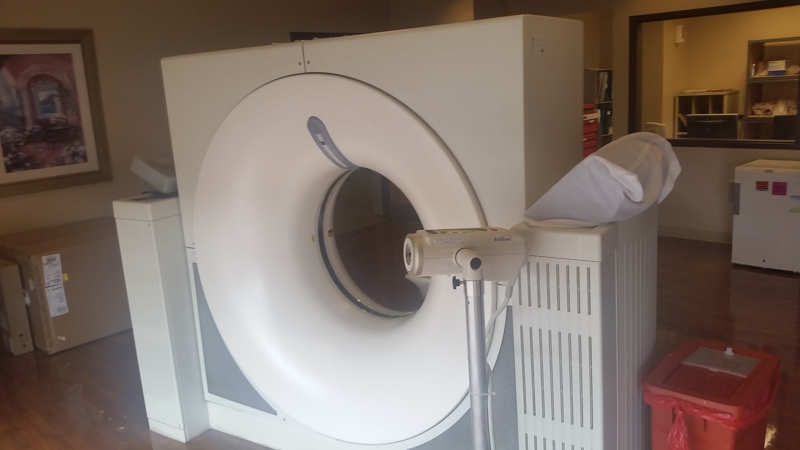 Shows the full video of the contrast agent during DSA imaging, Providing more information to the practitioner, and saving time. Overlapping the image with a mask image, moving as the patient moves, increases sharpness and decreases retake rate. 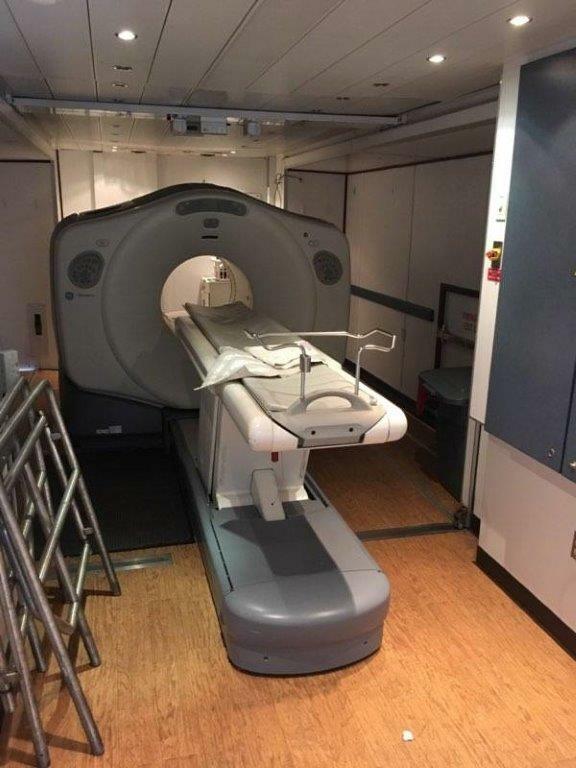 Real-time imaging with no after-images increases accuracy and efficiency. Shows anatomical structure and blood vessel images that cannot be seen well in DSA images. User applies a New Mask to an existing DSA reference image for an improved image without a retake. In the tension-filled surgical arena where life is at risk there is no room for guesswork, no room for error, no time to waste. prompt diagnosis, situational awareness and precise interpretation are imperative. 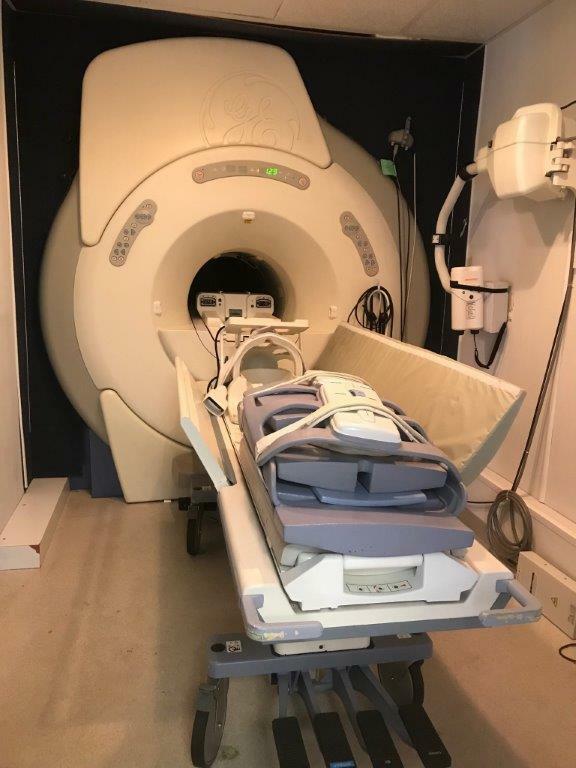 The exceptional image quality and unparalleled processing speed of the GEMSS SPINEL 12HD has been independently verified and its ease of operation is unique. 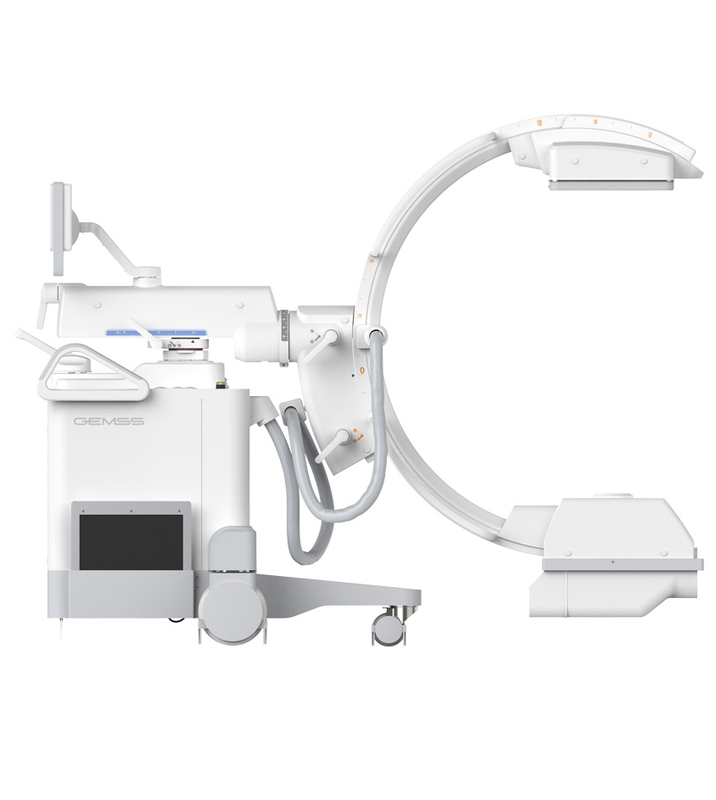 State of the art mobile c-arm equipped with a 15.3” Dynamic Flat panel Detector. use of the Wide FpD (287mm x 261mm) produces superior images without distortion. the wide FoV (Field of View) provides more detail with fewer images and the lowest possible dose for user and patient. Smart abc saves time by automatically controlling brightness and contrast to properly distinguish subject and background and acquire clear images fast. ioDc recognizes all subjects within the FoV (Field of View) and optimizes image quality by regulating brightness and dosage even when the object is moving or on the periphery. 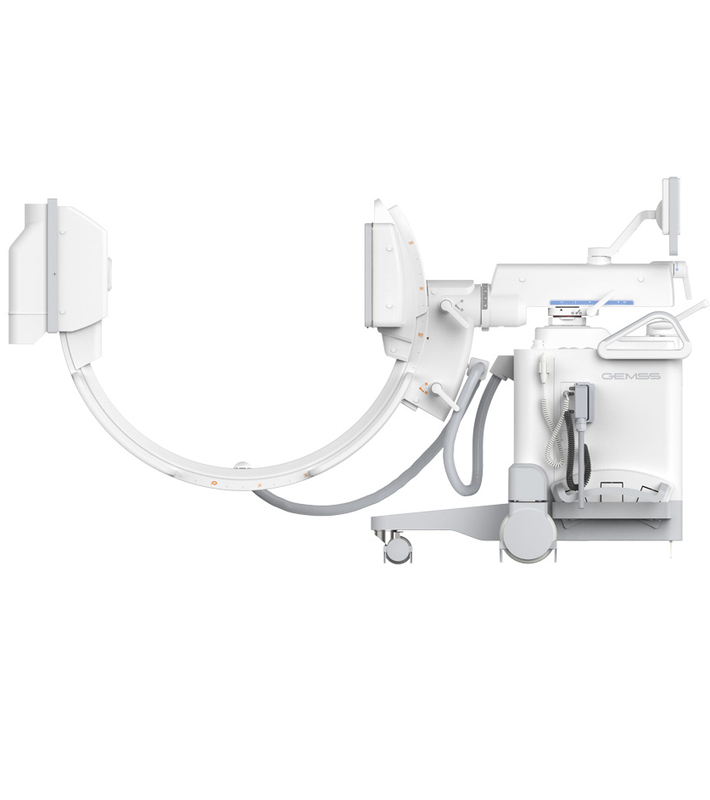 utilizes a powerful 12kW high-frequency X-ray generator with 20ma boost Mode for thick body parts, and is equipped with a rotating anode tube to maintain quality and performance during high output using small or large focus. 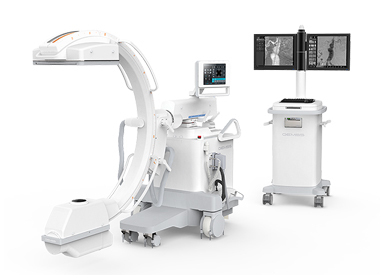 MDc detects surgical instruments and equipment within the FoV and automatically minimizes the brightness of the interfering metal to provide clear and stable images to the surgeon. 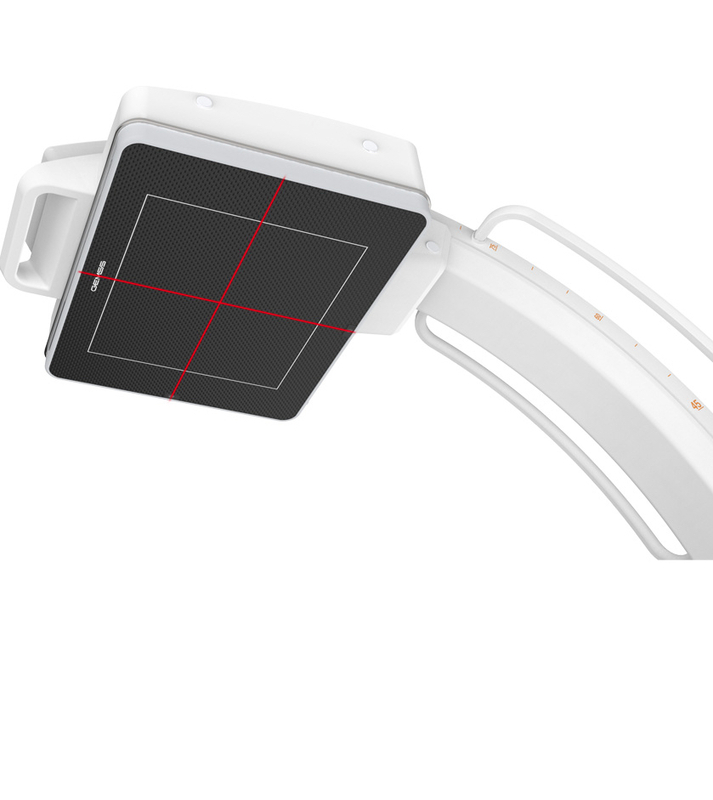 in radiography Mode the Dynamic Flat panel Detector generates high quality radiographic images. the dual modality function increases efficiency and saves time. 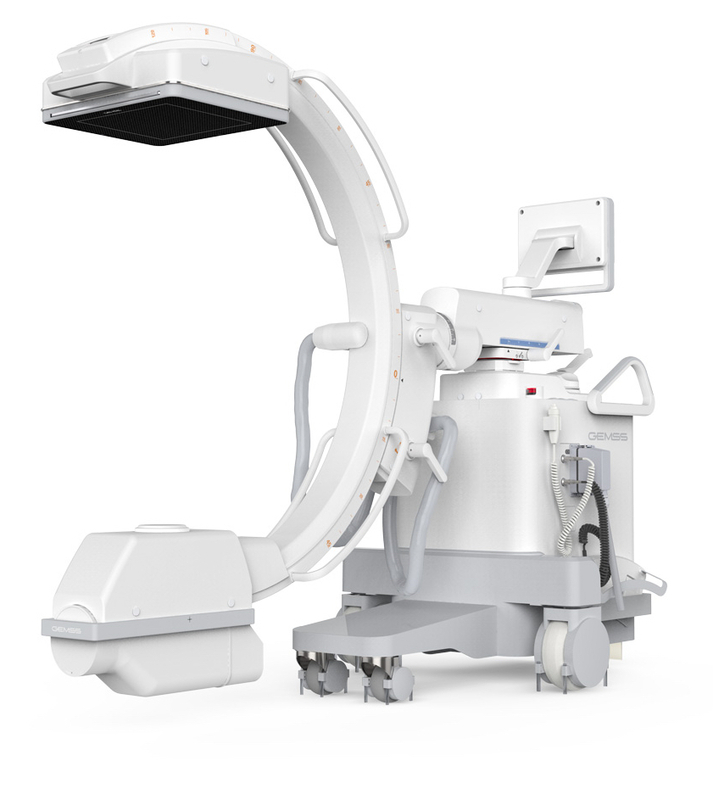 Wider free space (880mm) maximizes the surgical area minimizing interruption to the table during the operation. Moreover, the expanded orbital range (165o) provides smooth operation, allowing both oblique views without repositioning detector and tube. Wide SID (1110mm) provides a larger work environment, decreasing the risk of infection. Low ISO Center (910mm) allows smaller users to control AP/Lateral without changing table height. The user-friendly Break is integrated within the Steering Handle for convenient control and enhanced safety. The compact and sophisticated design is focused on height and center of gravity for convenient operation in small spaces. The four (4) front URETHANE wheels and eight (8) rear NYLON wheels make the machine easy to move. Our Premium Monitor Cart is simple and compact yet functional and mobile. Two 19” LCD High-Resolution monitors with motorized elevation easily adapt to each user’s viewing preference and fold for complete mobility. Impact sensing actuators eliminate the risk of damage. 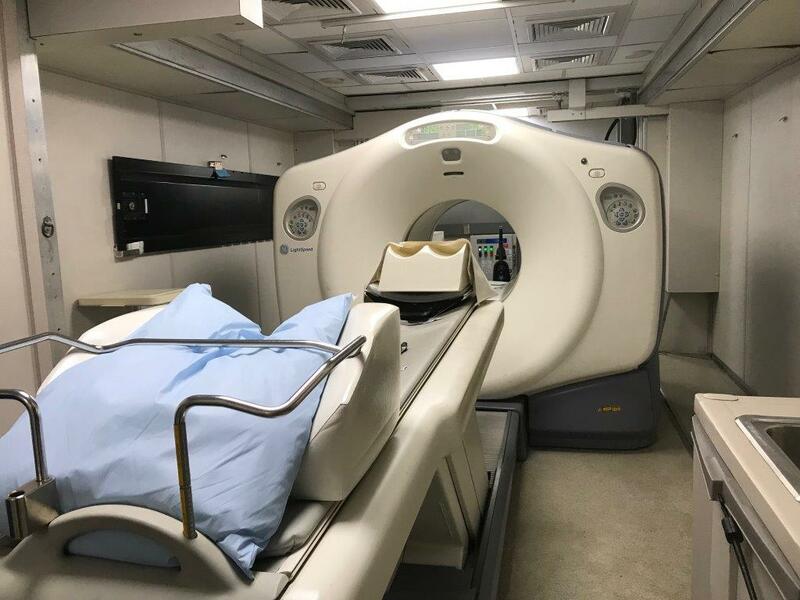 Mirrored storage avoids any loss of data in the event of a system failure by saving data to a Redundant Array of Independent Disks and increases stability in the OR. 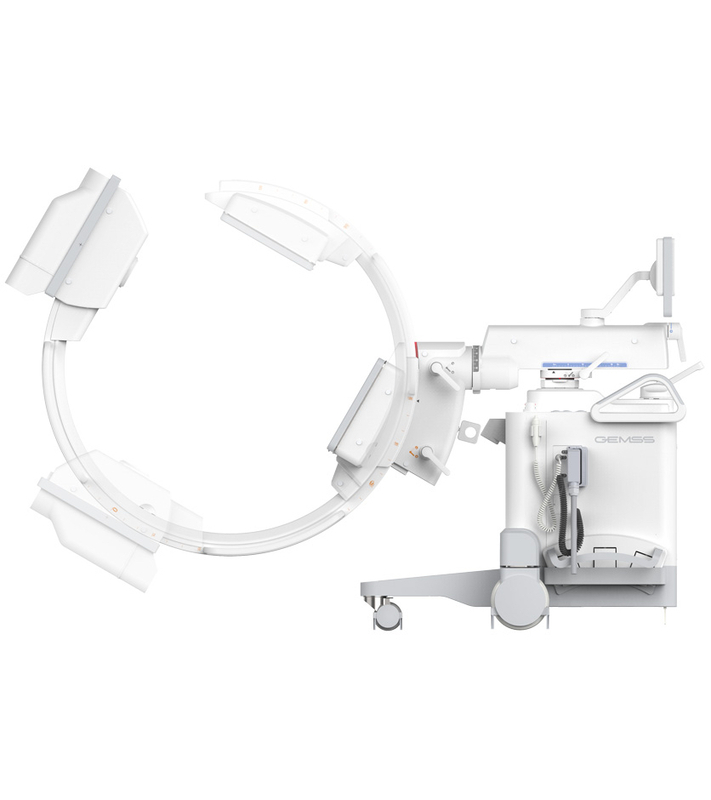 The ability to switch monitor inputs for emergency DIS image support, in the event of system error, provides Back-Up Fluoroscopy and a flexible response to any circumstance. 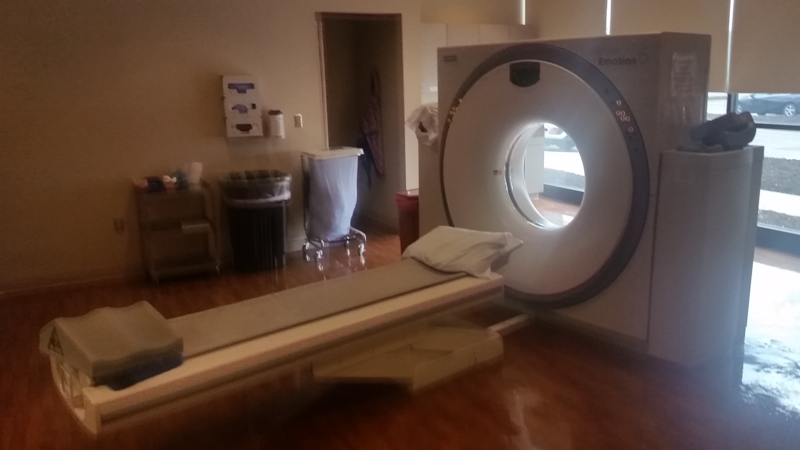 In order to share real-time video with an assistant medical team, a Third Monitor can be connected via DVI terminal with no loss of image quality.